Our laboratory conducts both human genetics and molecular neurobiology for the research of the human brain. 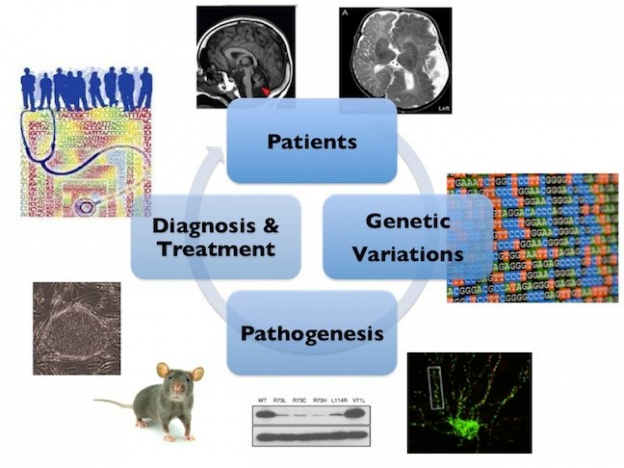 The ultimate goal of our lab is to understand genetic causes and biology of incurable neurological disorders and apply our understanding to genomic medicine by developing better diagnostic tools and therapies. Especially, we have focused on the study of brain somatic mutations as a novel genetic etiology of various neurological disorders. To this end, we are recruiting talented people and building an environment allowing all lab members to be creative and motivated for achieving our ultimate goal. For more details, feel free to contact us (jhlee4246@kaist.ac.kr).